It's the first day of 2016. Can you believe it? Last year was one crazy roller coaster ride but I must say it has been a great one blog wise. I learnt so much and I have grown so much as a blogger especially in the last few months. I've gotten to work with some pretty amazing brands and I have met some cool people. I did not expect any of this when I started but I wouldn't want it any other way now. 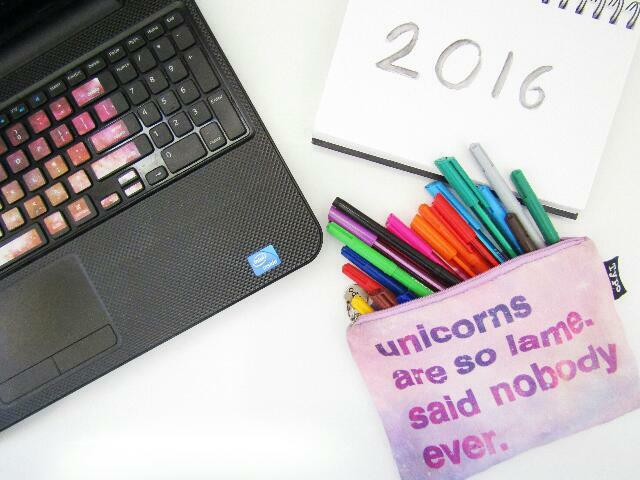 As we begin 2016 I have set myself some blog related goals. I was a bit hesitant about sharing them but I thought why not? It will surely help me stay focused and motivated to work towards them. I think I have a lot of time on my hands but I just don't know how to use it effectively. I have been planning and scheduling posts recently which has been helping a great deal. I think I need to write things down more often and do things as soon as I can. I just need a really pretty diary and I'll be sorted. I usually post on random days but I decided that it's time I come up with some kind of routine. I obviously need to get organised first but I'm getting there. My photography has improved so much since I started. I cringe when I look at my old pictures. Tshegofatso how can you use a different filter for every picture in one post? I don't know what I was thinking but I have come a long way and I still have a long way to go. It's a bit ambitious but have seen my blog traffic steadily increase in the past few months and I happy with that. It's so amazing to see that so many people read my little blog. In 2016 I hope to reach a wider audience and maybe even imspire some people! I don't think I have enough friends who are bloggers. It would be wonderful to have a conversation with someone and they just understand what I'm talking about. You feel me? That is where it all began. I started making Youtube videos before I started blogging and somehow I just stopped making them. I spend all my time watching Youtube videos and in the new year I hope more of my own. It's always fun to make them, I love being in front and behind the camera! I really enjoy writing but my blog is the only platform where I do this at the moment. I would love to write for some magazines whether online or hard copy. It just be amazing to share my work. I would like to grow my social media following this year. It wouldn't hurt to have a couple more followers, right? I think it will really benefit my blog and help me reach a wider audience. This is a crazy one because I'm probably the most socially awkward person you'll ever meet. I just don't do well in social situations but seeing pictures and videos of blogger events has definitely made me want to attend a few. They look fun and it would be fantastic to meet some like minded people. You have some great goals, I definitely want to do some of these things! Good luck with your goals, girl! I'm hoping to increase my traffic too, and I really want to improve my photography! That's fantastic, all the best! Thank you, it would be wonderful right? Thanks Valentina, you can do it! A guide would be so helpful! I'll definitely take a look at your bkog! I feel you with these goals. Wow that's amazing! I believe that creating a schedule that won't put pressure on you is ideal. Thank you so much! I know but we can achieve it through hard work and perseverance. Blogging goals are great to help you stay motivated. Thank you Melisa! I love your goals! It's so great to reflect on what you want to achieve. Thanks, reflecting definitely helps one stay on track. Knowing what I want to achieve really helps me stay motivated! Thank you, happy new year to you too. Hope you have a wonderful 2016! Happy New Year! I hope you achieve all of your blogging goals this year. Good luck! I would love to increase blog traffic to my blog too and make blogger friends. Hopefully we can keep in touch. I'm looking forward to your next blog post! I've had some of these for the past years, which is a bit sad, but hopefully I will be more motivated this year. And about making blogger friends, I'm going to steal this one. I use to have some internet friends but I lost touch once I started university, but I do miss random chats with intelligent people, which you seem to be. Either way, I really enjoyed browsing through your blog. I've recently started my own blog and I would love to know what you think about it. That is only if you have the time. If you do decide to give it a quick read, you can find it at ---> https://anasdomain.wordpress.com/ . Thank you, this is so sweet! I'll definitely take a look at your blog! Good luck with your goals. I think that's great! All the best! Thanks! Those are great goals, you can reach them! These are great goals and I really hope you achieve and have no doubt that you will. I set some similar goals, and I think they're as do-able as yours. I love your blog! I actually did one at the end of 2016. I love your goals that you set up! I am getting my notebook out now to write my goals! Thank you for the inspiration! I'm so glad I could inspire you! All the best!